A Ross Sea MPA will come under the governance of the Commission for the Conservation of Antarctic Marine Living Resources (CCAMLR), the international body charged with managing the living resources in the waters around Antarctica. 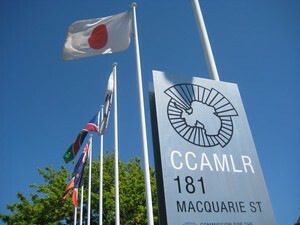 The CCAMLR commission, which is an extension of the Antarctic Treaty System, has 25 member nations and convenes for discussions once a year (usually in Oct/Nov). The commission operates on consensus with each member nation getting one vote. New Zealand, being the closest country to the Ross Sea, has strong geographical and historical ties with the area. They were a signatory nation to the initial signing of the Antarctic Treaty and are considered a key player in Antarctic politics. New Zealand was responsible for initiating the Ross Sea toothfish fishery and the Last Ocean would like to see New Zealand lead the way out by proposing that the entire Ross Sea, including the continental shelf and slope be designated as a no-take marine protected area. 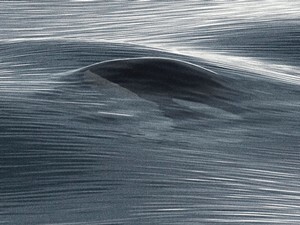 A Ross Sea orca rises for a breath of air.